We are a family of four (Angela, Massimiliano, Nanà and Michi) and we have a dog, Totoro. We live in Bologna, a city in northen Italy. 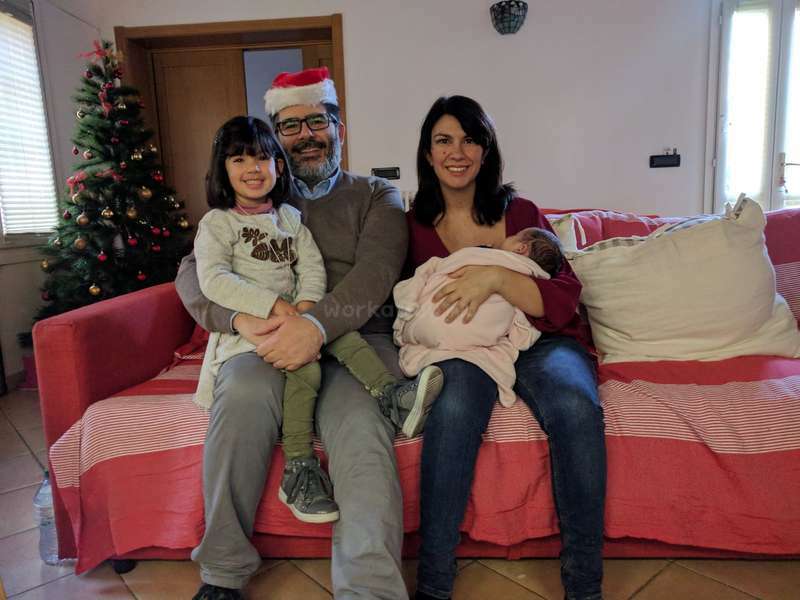 We need some help with keeping our home clean, taking Totoro for a walk, talking with us in english and looking after Nanà, our five years old daughter and Michi that was born in the end of 2017. Totoro the dog is a golden retriever. He is big but adorable. Nanà is a very calm and well behaved little girl and Michi is a nice little boy. Massimiliano works in IT and Angela is at home looking after the children. We all speak English, except Michi that can't speak at all, Nanà understands and speaks Italian e English. 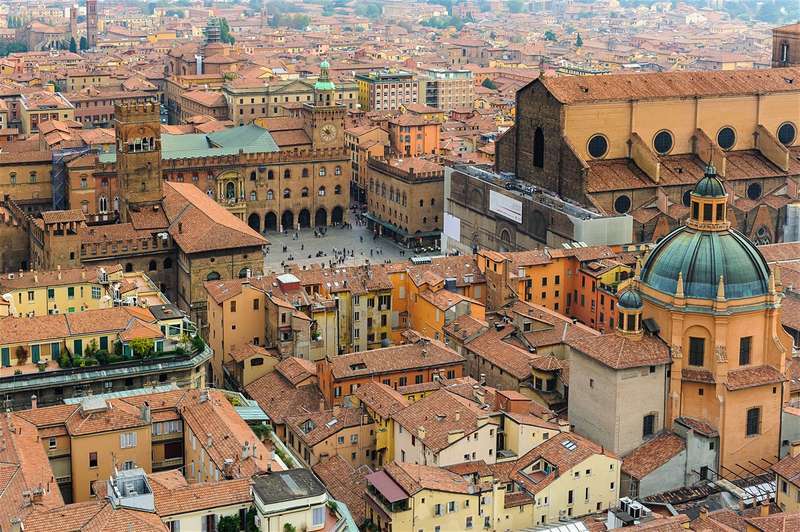 Bologna is a lovely, old city in northen Italy, full of cultural and artistic events. It's also well connected with the most important Italian cities like Milan (1h by train), Florence (45m by train), Rome (1.5h by train) and Venice (1.5h by train). We are looking for someone that will be part of our family, likes to share experiences, time, recipes. We love cooking and eat all together. The workawayers can join us in our daily lunch and diner, or cook if they prefer. We can provide fast internet access. You will live the life of a true italian family, and you will be welcome to ask us any help for italian lessons. Massimiliano is very good at cooking and he can cook and teach the real italian and sardinian food. House keeping and gardening for two hours a day and one hour of dog sitting (walk with him in the streets or the beach) a day, babysitting for two hours. Language practice (some informal chats, we'd love to teach italian too). A single bedroom in a flat with garden, at 10 minute from the historical center of Bologna. We live in a very nice and well served district with lots of bus and the possibility to have a bike. We provide food and if the workawayers want can join us in our daily meals. - Lot of young people for all over the world. I stayed with this family for about a month and a half total and they were nothing but generous and welcoming. Their daughter Nana is sweet, smart, and full of energy. I always had a lot of fun playing with her. Michi is a smiley little boy and growing up so fast! I was fortunate enough to be a part of his first birthday and bake with Angela for… read more the celebration! Angela and Massi are both very knowledgable about Italian food and were able to teach me a lot. I enjoyed every second I got to spend in the kitchen with both of them and at the table sharing meals. 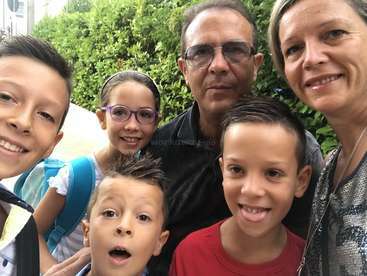 I was also fortunate enough to get to spend some time with them and their family in Sardegna, where they come from, and it was an amazing experience-again they made me feel very welcomed and like part of the family. The chores are not difficult and Totoro is a gorgeous dog. My experience in Italy would not have been the same without them and again they taught me so much about Italian food and culture extremely beneficial to my future career as a chef. I highly recommend this family! Angela, Massi, Nana, & Micky.. they were all very accommodating & helpful! Our stay was for 3 weeks. We enjoyed the time spent with this family. Their daughter, Nana, was able to play with my daughter, Grey. I helped with the children & cleaning around the house. 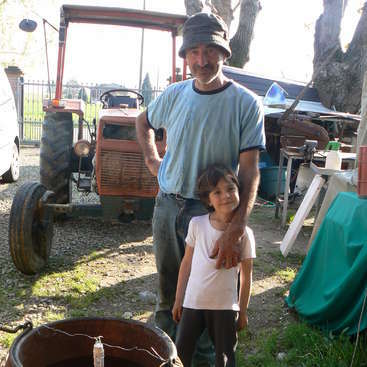 Angela & Massi also took us all on two trips outside of Bologna, showing us around… read more Italy. Angela kept me company & conversation. She gave me an art history lesson & a tour of the cities! She even taught me about cheese & her love for it! Massi’s food was delicious! I recommend visiting this family! Sierra and Grey are nice, clean and hardworkers. Grey is a sweet and well behaved little girl, we loved her immediately. Sierra is a good mom and a good worker, she was very good with both our kids, the dog and the housekeeping. We recommend them with no doubt. Devon is a very nice person, we loved to have her here. 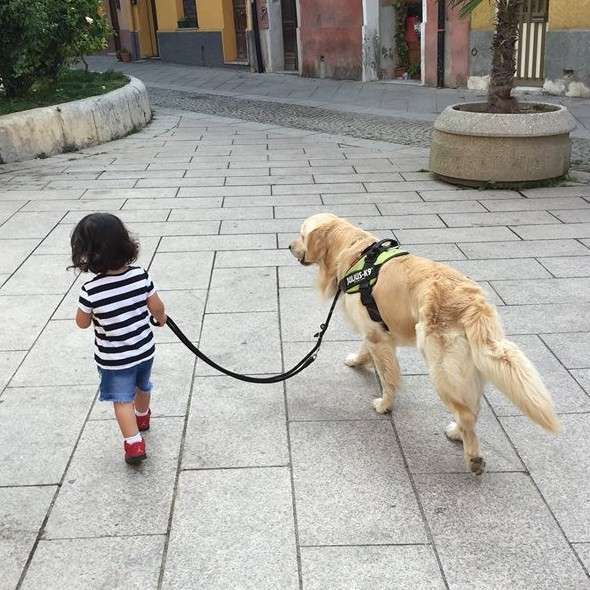 My little girl played with her from the first day, the dog respect her very much and also the little one liked her. We recomand her to anyone. I just spent the last three weeks with this wonderful family and had an amazing time! They are all so welcoming and kind. A typical day for me started with walking Totoro for an hour in the morning in a nearby park and around the streets of Bologna, which was always a nice start to the day! Totoro is a big and energetic dog who can sometimes be… read more aggressive with other big dogs and can pull hard on his leash, so I would recommend that you’re comfortable handling large dogs! But he is so sweet and I really enjoyed the peaceful times we spent in the mornings at the park. Then each day I would vacuum and mop the house, do the dishes and clean the kitchen after each meal, and do a rotation of other household chores like cleaning the bathrooms, taking out the trash and recycling, and tidying up the house. All of this takes very little time and I had plenty of free time throughout the day. Then I would usually watch Michi for short periods while Angela made lunch for us, and play with Nana in the evenings after she got home from school. Both Nana and Michi are adorable, well-behaved, and so fun to play with! I also had plenty of free time to explore Bologna and also travel to nearby cities on the weekends, which are all very easily accessible by train. Bologna is a great city to live in because it is much less crowded and touristy than other big cities in Italy, yet it’s very centrally located. Filippo e Tommaso are nice and hardworkers. My kids both love them, so do the dog. They are like part of the family. Claire is hardworker, precise, clean, nice, indipendent. We had four beautiful monthw with her and she become a part of our family. My child love her, the big one as the baby. I recomand her to everyone! Scott and Charlie were with us for only two weeks, but they were very nice and helpful for our family. They are very good in handiworks, gardening and heavy works! We enjoyed the time we spent with them. What a wonderful experience my time with the family was! Angela and Massi were welcoming, warm and very hospitable. I enjoyed spending time with their family and friends. Their little girl Nana is very charming, intelligent and well behaved. Totoro the golden retriever is… read more lovable. My walks with him were a joy and in the evening one of the two cats would join us too for a walk round the neighbourhood. If you want to experience life with an Italian family then this is for you. My only regret was I couldn't t stay longer. Alison is a very kind, nice and hardworking person, she became a part of our family and we enjoyed all the time she spent with us. She is a very good and patient english teacher and a excellent italian student. I had a great time staying together with a friend at this Workaway thanks to our hosts Angela & Massi and their sweet little daughter Naná! They are really nice and fun people, always very helpful suggesting activities and events you can do in your free time around Cagliari. 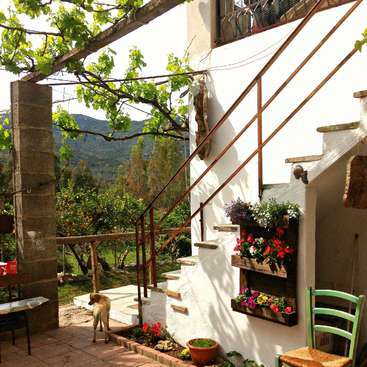 Their house is located in Villanova, which is the old town right in… read more the heart of the City. 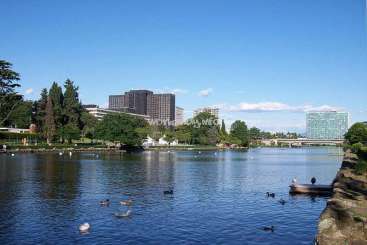 From there you can get around very easily on foot to explore the center with its various shops, museums, restaurants and bars or take a bus to the beautiful beach. I almost felt like a part of the family during my stay and can highly recommend this Workaway! Angela and Massi were so welcoming and generous to us. We had such a lovely time on our stay and highly recommend them as hosts. We felt part of the family: nana is such a beautiful child and totoro, the golden retriever, is an absolute gem of a dog! Our experience went above and beyond what we expected and are very grateful that we had such a… read more great time. Cagliari is an amazing place so to have a work away so living in the heart of the city was perfect. We highly recommend, not only as a destination, but with a family that will make it a special experience. Nik and Jack are nice and easy going people, we spent a very beautiful time with them. They are also responsible and hard workers, very good with children and animals. Lucy is a nice and hardworking person, we had very beautiful time with her. She was very nice with our kid and dog, my house has never been so clean and tidy. She can cook delicious and creative dishes. We recomand her to everyone. 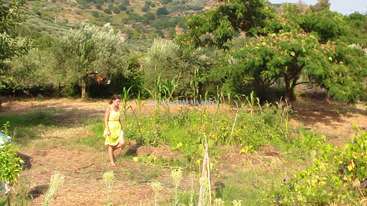 We stayed with this family for a month in Sardinia and had the best time - we cannot recommend this workaway highly enough! The town and beach were gorgeous, and they made us feel like part of the family :) we're now addicted to gelato and Italian coffee. Nana is a very intelligent little girl with a great personality, and their golden Totoro is… read more very sweet and well behaved. Thank you so much for having us!! Marissa and Kalsea are very nice people, good workers and company. We had a good time with them!